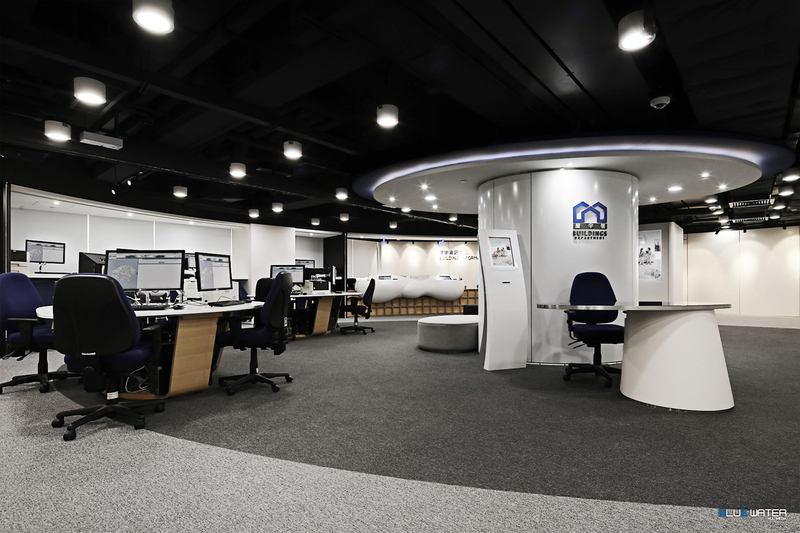 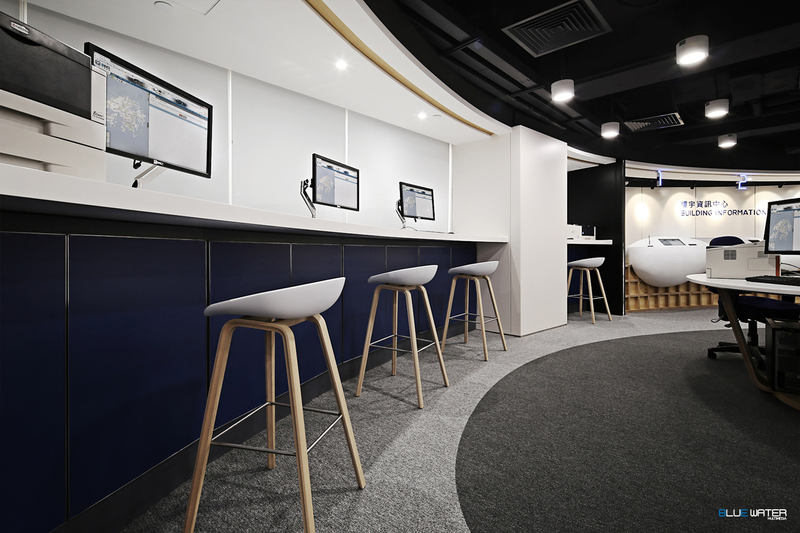 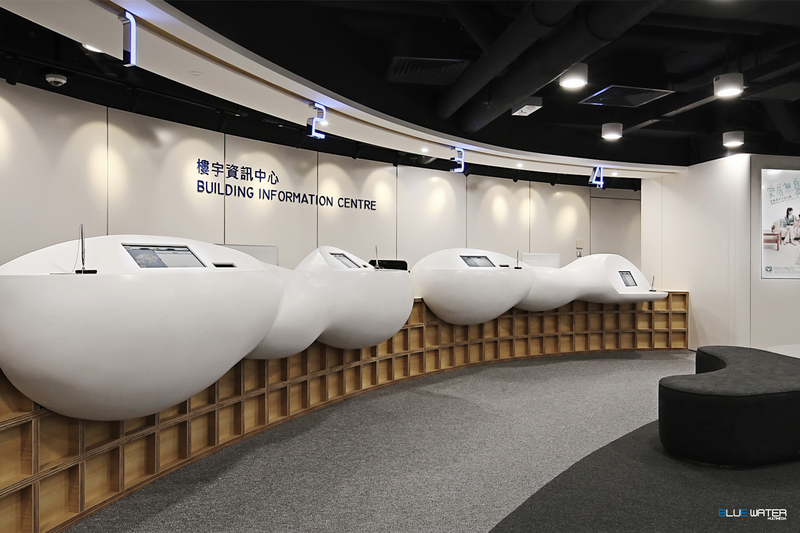 Transforming a traditional governmental office into a modern information center. 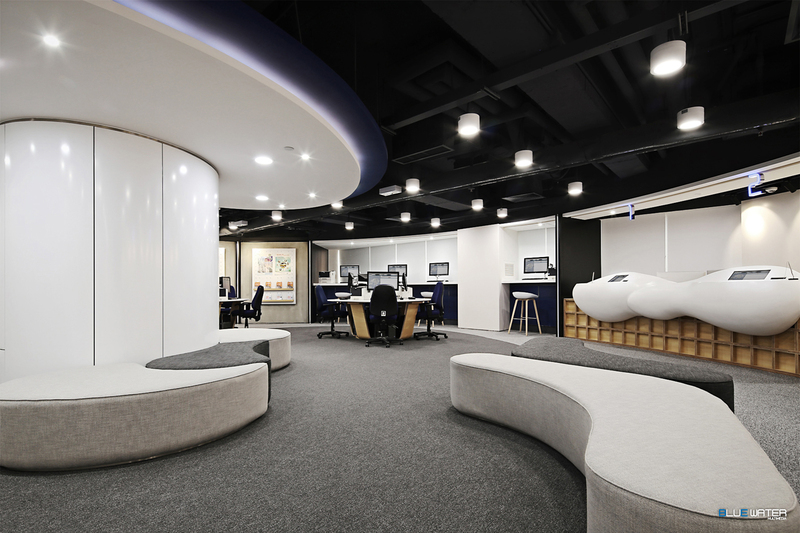 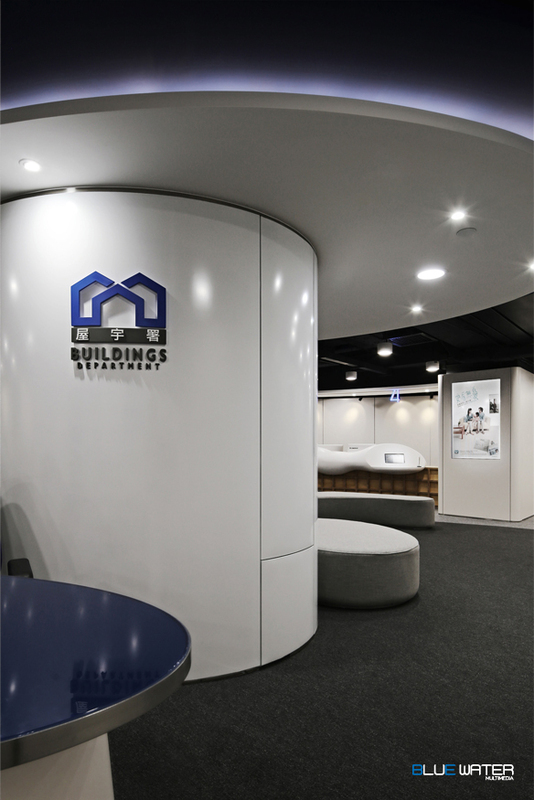 Using organic form and shape as the main design theme, with different use of curves on furniture, fixture, ceiling, as well as carpet to create and communicate the concept of "flowing of information". 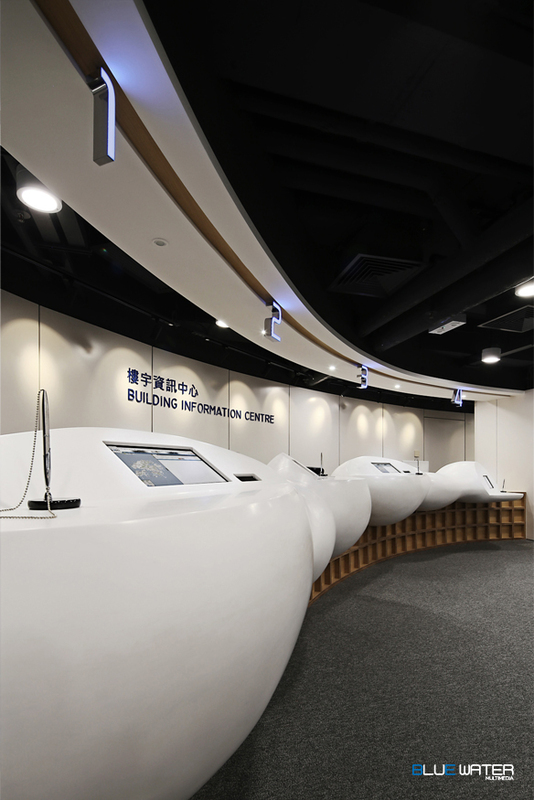 The "cloud" shape of computer counters represents the importance of interactive dialogue between the department and the general public.